This is a quick guide, which will help you understand what Sportlyzer is and who it is made for. After reading this you will know the main idea behind Sportlyzer and how to start using the Software. Sportlyzer is a sports team management software. We design apps for managers, coaches, and athletes and plug them all into one environment. This kills two birds with one stone. First, you have all the tools you need to manage a sports club with the push of a button, keep in touch with all your members in groups, schedule training and events, generate invoices and keep an eye on your financials. At the same time, you also get to enhance your training with the latest technology. Sportlyzer allows you to create individual training plans and track detailed metrics about each workout session, making following your team’s progress and providing constructive feedback easier than ever before. Whether you’re a club manager, a coach or an athlete, Sportlyzer allows you to stay focused on your sport. 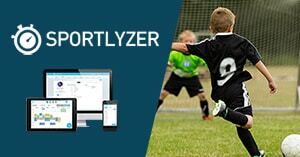 Sportlyzer is for sports clubs or individual coaches, who work with children (but not only!). People, who love sports and who work to share their passion with kids. Their main goal is to offer the best and most fun workouts that will be remembered for whole lifetimes. It's for the managers and coaches, who work day and night to keep hundreds of children happy and for the volunteers and parents, who invest their time and energy into the club not for money, but for the younger generation. These are the people Sportlyzer wants to help. We want to help them focus their energy on the things they want to do and not waste it on the things they have to do, like reporting, marking attendance or spending the whole afternoon trying to find the phone number of little Katherine's mother. How to start with the Software? We have created a lot of materials to get you ready to start using the software. The first steps are registering your club and bringing in your team or signing up as an individual coach with a couple of training groups. Also, you can use it for 15 days for free, without entering any credit card information. Sportlyzer is software for collaboration, which means all managers and coaches will have their own accounts and access to the software. Here are some articles, which will help you in the beginning. What is the difference between coaches and managers? Search for a tutorial article in our Help Center. Contact us via the feedback form. You can access it from the “Contact Sportlyzer” button in the bottom right corner of all Sportlyzer app pages.